Rachel Dillion treasures living in the small town where she raises her young son Michael and owns a bed and breakfast. She feels content knowing that the B&B is a wonderful way to give back to her community and that small-town life affords Michael some much needed security. Because of Rachel’s divorce from his father, Michael has suffered emotionally and is failing in school. 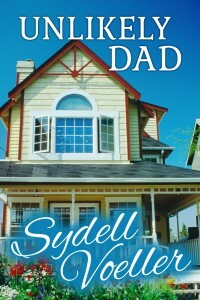 Chad Merrick, Rachel’s old boyfriend, returns home to help his mother sell her property. Once again, Rachel is powerfully attracted to Chad, yet she is also cautious. Chad is a renowned international wildlife photographer who loves wide open spaces. She can’t imagine that he would ever settle for the humdrum small-town life. She’s convinced, as Chad is, that his visit is temporary. Chad begins tutoring Michael and soon fills in as his dad for a community Boy Scout project. While Rachel is grateful for Chad’s help, her caution meters skyrocket. Before she knows it, Michael has become too attached to Chad. Can Rachel protect her son from further hurt and abandonment? And most of all, can she allow herself to fall in love with Chad–this time forever?